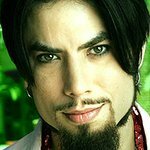 Founding member of Jane’s Addiction and ‘Ink Master’ host, Dave Navarro, asked fans to help create more smiles with Operation Smile and is just about to reach his goal of $24,000 raised – which translates into 100 new smiles across the World! Operation Smile is one of the largest surgical organizations in the world and is the largest volunteer-based medical charity that provides free surgeries to children with cleft lip, cleft palate and other facial deformities. It is also one of the few organizations that celebrity supporters actually reach out to in efforts to get involved. Look to the Stars was happy to catch up with Navarro to find what sparked his smile-making campaign. How did you become involved with Operation Smile? What attracted you to the organization? I’ve always had soft spot in my heart for children and I actually became involved with Operation Smile just by their campaigns and word of mouth. I actually reached out to them to see what I could do to help and they set me up with my own donation page, then I reached out to the Jane's Addiction fan base to contribute and generate funds for surgeries for children. Anything with children in particular is something close to my heart. I don’t know why that is, but probably because I can identify with lost innocence as a result of having some pretty traumatic things happen to me when I was a child. So anytime I can give back on any level to the younger kids, I’m always for it. You’ve just about reached your campaign goal of $24K, which equals 100 smiling children. Yeah, what happened was we had the website up for a while, then had the opportunity with Jane’s Addiction when we played three nights at the Brooklyn Bowl in Las Vegas. I came up with a plan to auction off the guitars I started off the set with. So I had three guitars, I would open the show, play the opening song on that guitar and then someone would run that guitar that I just played on over to the merchandise booth where it went to the highest bidder, with all earnings going to Operation Smile. 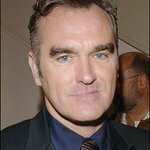 Being a collector myself of different oddities and artwork, I know that if I were a huge fan of somebody and I had the opportunity to buy something they played at the show I was attending, it would be of interest to me. So I figured anyone that was a die hard fan of the band – and wanted a piece of history that they were part of – would be interested. And the guitars went fast – in the end we raised about $20k for Operation Smile just by auctioning off those three guitars. I think this simple idea would be great for other musicians to incorporate to benefit whatever charitable cause is close to their heart. It’s such a simple way to give back, and my guitar company, Paul Reed Smith, was onboard and they helped us make this happen and we are close to making a hundred kids smile again, which is the ultimate goal. Certainly I’ve done lots of work with pediatric AIDS and against domestic violence and PETA, but when it comes to the kids, that breaks my heart more than anything – pure innocent young lives that don’t have a shot out the gate and this gives them a better life. So I’m just super excited that Operation Smile is willing to let me help, it’s a great organization and it’s a great feeling to give back and help others. Have you gone on a mission with Op-Smile, or do you plan to? I haven’t and I would love to – our relationship is just kind of starting, but of course I would love to. I look forward to doing more work with them for sure. If you could have one super power, what would you choose? My super power would be to eat as much carbs and cheese and sugar and not gain an ounce LOL! When you break it down that’s the only super power anyone really wants. And finally, if you had a theme song, what would it be? Well I cant answer that one because I think the human condition is too multi-dimensional to attach one song to it. I’m in a different mood everyday I wake up, so each day it would be a different song every day. Many thanks and a big hug to the multi-dimensional rocker for making us – and the kids – smile. Please follow both @operationsmile on Twitter and on Facebook.